Jean-Michel Quinodoz introduces the essential life and work of Sigmund Freud, from the beginning of his clinical experiences in Vienna in the 1880s to his final years in London in the 1930s. Freud’s discoveries, including universally-influential concepts like the Oedipus complex and the interpretation of dreams, continue to be applied in many disciplines today. Elegantly and clearly written, each chapter leaves the reader with a solid framework for understanding key Freudian concepts, and an appetite for further knowledge. Accessible for readers inside and outside the field of psychoanalysis, there is nothing at all equivalent in English. The book starts with Freud’s life before the discovery of psychoanalysis, spanning from 1856 to 1900, when The Interpretation of Dreams was published. The subsequent chapters are devoted to the presentation of the key notions of psychoanalysis. A chronological perspective shows how Freud’s work has been constantly enriched by the successive contributions of Freud himself, as well as his successors. Freud’s contributions are also embedded in the daily, clinical practice of psychoanalysis and psychotherapy. The last chapter concerns Freud’s life from 1900 to 1939, the year of his death. This fascinating, concise and accessible introduction to the life and work of Sigmund Freud, one of the most influential and revolutionary figures of the nineteenth and twentieth centuries, by internationally-renowned author Jean-Michel Quinodoz, will appeal to both professional readers and anyone with an interest in psychoanalysis, psychotherapy and the history of ideas.. The book presents the major contributions of Sigmund Freud in their nascent state, as and when they appeared, and shows that they are as alive today as ever. Sigmund Freud is a book in which each chapter is a gem-a concise, very accessible rendering of the essence of Freud’s psychoanalytic thinking, accessible by readers within and outside of the field of psychotherapy. This is not a textbook or primer; it is an insightful discussion of some of the most important ideas to be launched in the twentieth century. 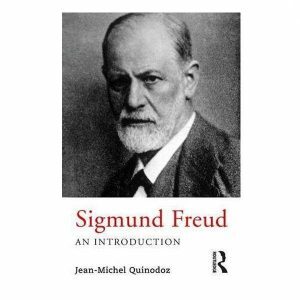 In his new, quite brief, book on Freud, Jean-Michel Quinodoz captures both the breadth and the depth of Freud’s work. It is not a superficial summary of Freud’s work, but rather a remarkable re-presentation and exploration of Freud’s central psychoanalytic tenets that continue to underlie and inform our work today as psychoanalysts and psychotherapists. Jean Michel Quinodoz is able to distil complex ideas into something easily available to a wide audience without talking down to his readers. He has managed to cover in this small book the main lines of Freud’s oeuvre. Jean-Michel Quinodoz is an internationally-acclaimed psychoanalytic theorist and clinician. He is author of The Taming of Solitude, Dreams That Turn Over a Page, Reading Freud, Listening to Hanna Segal and Melanie Klein and Marcelle Spira (all Routledge).